Vector drawing. 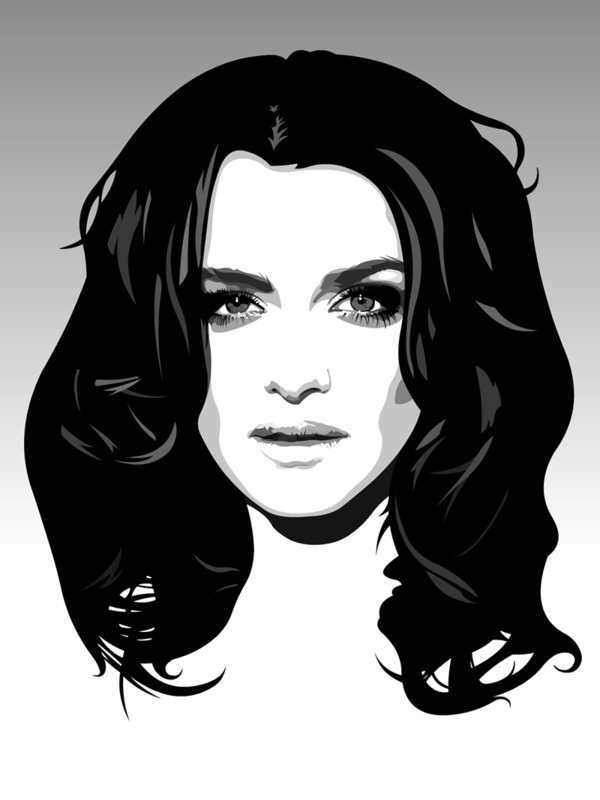 Weisz, Weisz Baby. A lot of people seem to plump for ‘The Mummy’, ‘About a Boy’ or ‘The Constant Gardener’ when hit with that frequently posed question ‘name the thing that most makes you think of Rachel Weisz?’ Not me. Let’s discount the fact that she’s married to James Bond for a second – personally I view that as far too recent a development to be allowed to be taken into consideration. For me, it’s the bit in ‘My Summer with Des’ when she whispers to Neil Morrissey that Patrik Berger will be the first goalscorer in the 1996 European Championship final. Seriously. You might think that last paragraph demonstrates just how much higher profile she is nowadays but to me it’s much of a muchness. I personally regard Des Lynam to be the James Bond of sports broadcasting.